We Don’t Just Design Your Pet Store Website. We Help You Sell! 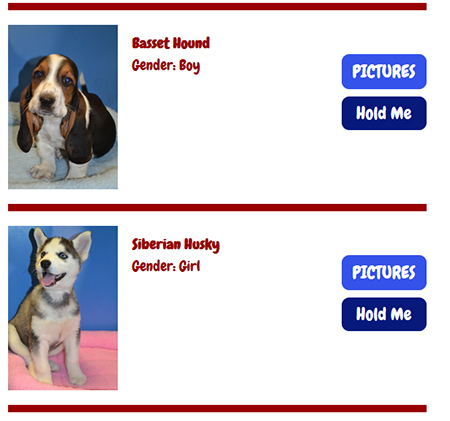 Your customer will see the puppy information and request to put a “Hold” on the puppy. They receive a quick form to fill out that is then emailed directly to you as a lead! See a Live Site In Action! 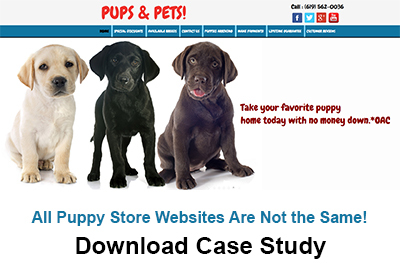 To see a live store in action click on the link here: puppies for sale san diego.